* Ideal for larger quantities and delivered in around twelve straight days. 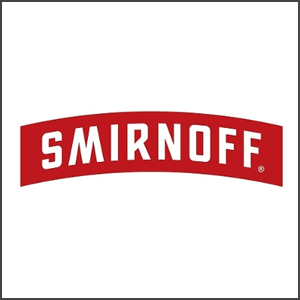 We’re UK based but ship to anywhere in the world. * Our Factory made temporary tattoos are the highest quality in the world, die-cut and skin safe/non toxic to the highest EU, FDA, CPNP safety standards. 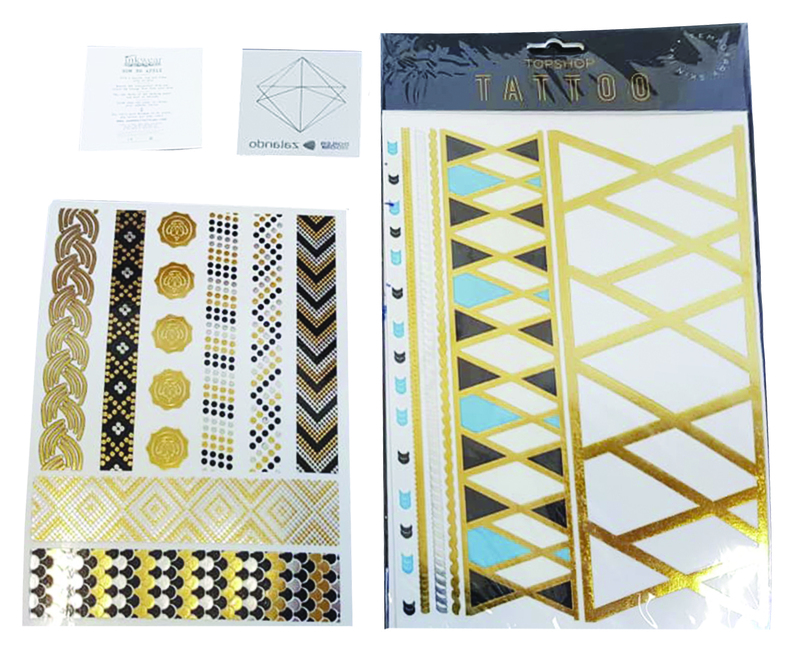 * You’re restricted to one design/sheet per 500 pieces & price is affected only by size of the tattoo sheet. * Great economies of scale, the transfer tattoos are cut and ready to apply with fully bespoke instructions on the back which works great for marketing messages. * Gold & Silver Foil, Glitter & Glow in dark options also available, email for a quote. 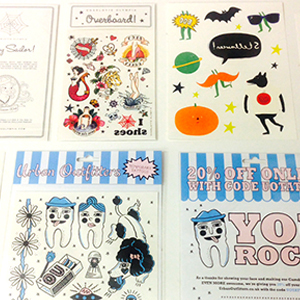 Factory tattoos are ideal for promotions, parties and retail. *Inkwear tattoos are the only UK based tattoos legally approved by the Cosmetic portal CPNP (you must have this for Europe retail), we sell in all major Supermarkets. 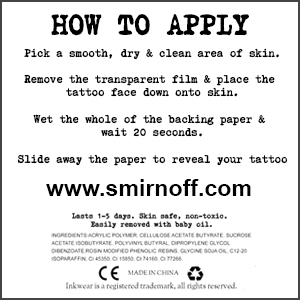 For orders less than 500 CLICK HERE for our ‘fast’ tattoo sheets. 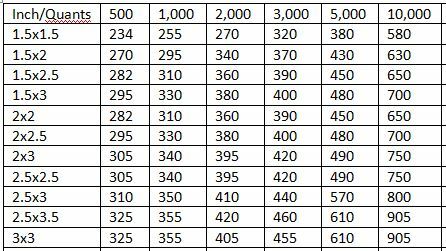 All tattoos have a sheet size of at least 1.5 x 1.5″, prices below are in £ sterling, all subject to 20% VAT but include shipping to one UK address.For example, 1,000 2*2″ tattoos would be £310 + vat. Larger orders & sizes also available Email custom@inkwear.co.uk to place an order, request samples or for a quote. Want to stock Inkwear’s own stock designs? Contact adam@inkwear.co.uk for more info.